It's Tuesday y'all (as if you needed that reminder) but before I know it it's going to be Friday again. (not that I'm complaining) but I swear I feel like time is FLYING! 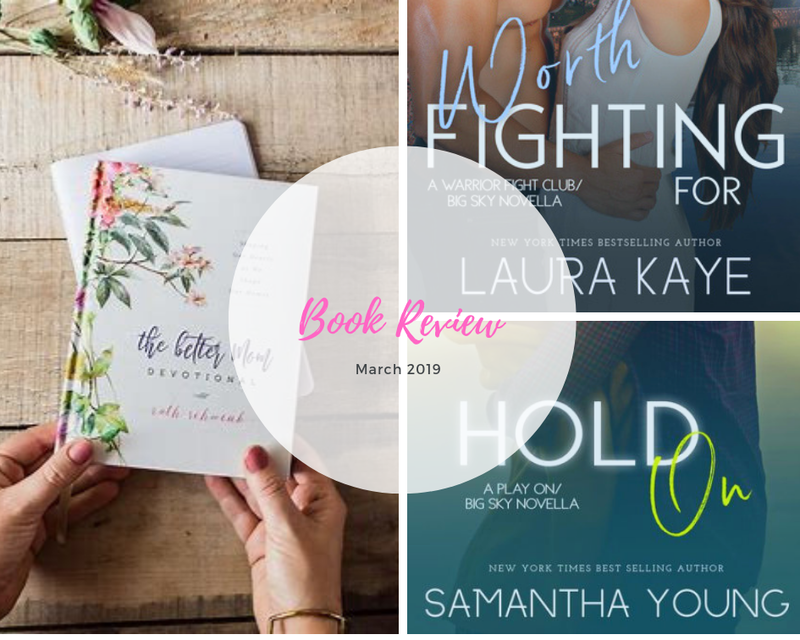 It's also the LAST Tuesday of the month and I'm sharing my Book Review. I realize that most of you do not read the rated R type books that I read and I completely understand. I also understand that most of you find it comical that I mix my rated R book reviews with my devotional books. I get it, I understand, but this is ME! Amazon: As a mom, you want to give your best to your family. Motherhood is incredibly rewarding, yet its challenges can leave you feeling anxious, inadequate, and overwhelmed with mom guilt.Trusted author Ruth Schwenk of Pressing Pause and The Better Mom blog will help you learn to give yourself grace as you grow in wisdom with The Better Mom Devotional. Heather: I didn't love this devotional. I didn't find anything that stood out to me and just settled into my soul. I'm sorry. Amazon:Women today feel pressure to be the best wife, mom, and professional possible - often at the expense of their own identity. But what if you could experience deep peace - knowing you are loved right now, just as you are? In Brave Love, the founder of the multi-million dollar company Lisa Leonard Designs inspires women to find themselves again amidst the noise and competing demands of real life. Heather: This book really touched me. I don't know if I can ever be as BRAVE as Lisa shared in her story but it is something that I strive to be everyday. To be BRAVE to speak up, express how I feel, be a member of my family even though I don't contribute financially. To be BRAVE when I talk about my shop and my blog. It's a great read if those are things that you struggle with as well. The next 3 books I received as ARC. Heather: This book took me a while to read and I'm not sure why. It was a good book but just didn't hold my attention. I do love that Tara and Jesse had a "one night stand" and then ending up working together. I can't even imagine how embarrassing that would have been. Heather: This one was fun and flirty. I love the chemistry between the characters immediately. They were just drawn to each other even though Autumn tried real hard to fight it. Heather: I don't know what it is about me and rockstars but I will fall for them every time. 😉 Maybe I just wish that one of the guys from News Kids on the Block would just come and sweep me off my feet. (I'm totally kidding) but when your boy band crush walks into the coffee shop you are working at and somehow you become his nanny. Yep, I was HOOKED!